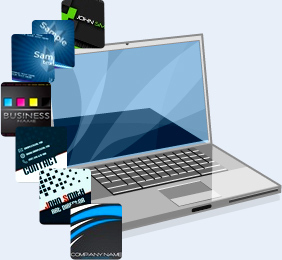 Business card maker software has capability to design and print business cards, visiting cards, membership cards, marketing card and other commercial cards. Software uses various card creating tools like line, picture, pencil, rectangle, arc, star etc to generate stunning business cards. Business card software is fully capable to design business cards in different shapes including rectangle, ellipse and rounded rectangle according to your requirements. Business card software provide facility to create multiple numbers of business cards simultaneously using inbuilt advanced data set series feature. ID Card Design - Corporate Edition generates multiple ID cards for employees, students, visitors, security guard, etc with different barcode and text value. You can easily browse entire ID card details from excel file. With photo adding facility, you can add photo on your ID card by taking picture using Camera Setting. ID Cards design software helps you to design and print professional-quality identity card for your personal and business needs. 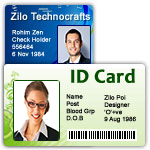 ID card creator tool facilitates users to design ID cards in different colors, shapes, font and size. ID card designing software is embedded with pencil, line, text, ellipse, rectangle and other card designing objects to create attractive business cards easily. Creates printable student ID cards along with photo adding feature using Student ID Card Design Software. With Image Cropping tool, you can crop a single or multiple images for your ID card. 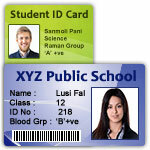 Easily design student ID cards using Pre-defined Templates or by using Live Group and Batch Processing Mode. Software is also having option to export designed student ID cards as Image, PDF file format and as Template. 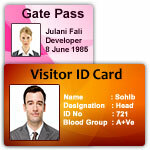 Visitor ID Card Design Software is useful to create Gate Passes and Visitor ID cards for visitors. Software maintains visitor records with option to export visitor details as Image and as pdf file format. To add photo on ID card, you can browse the location of image saved on your PC or you can capture the image of visitor using Camera Setting. Card and label design software empowers you to create different types of sticker labels of any size or shape. Card designing program uses different image designing objects to design attractive products labels, prices stickers, ID cards, visiting cards, flyers, leaflets, postcard etc. Now you can easily design and print different types of cards, labels and tags of any color as per your needs. Birthday cards design software creates and prints beautiful handmade birthday cards to send your best wishes to your friends, lover, spouse and friends. Birthday card designing program creates bulk number of birthday cards instantly to gift different people on this special occasion. 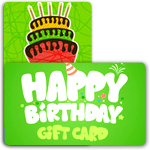 Birthday card designing software facilitates users to create colorful birthday cards using advanced color and background settings. 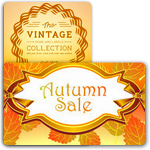 Greeting card design software allows you to create and print attractive greeting cards in simple manner. Greeting card software designs New Year cards, miss you cards, love cards, celebration cards, holiday cards, anniversary cards, Christmas cards, festival cards and other types of greeting cards. 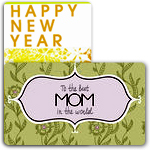 Greeting card maker program allows you to add photo, personal messages, clipart on card to design stunning greeting card. Wedding card maker software helps you to design printable wedding invitation card in different colors and sizes as per your need using data set series feature. Wedding card making program provides advanced email settings to send generated wedding card at user specified email address. 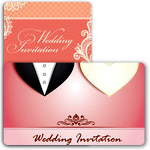 Now you can invite your near and dear ones on your wedding day by sending personalized wedding invitation card. Logo designing software creates business standard logo regardless of any creative ability. Business logo maker software provides print setting feature to take print of designed symbol. Logo creator tool designs brand identity symbol for any small to large scale commercial organizations. Commercial logo designing program creates professional looking business trademark symbol using various image designing objects.